Leading Exporter of galantamine tablets from Mumbai. Side Effect Dizziness, headache, lethargy, dysgeusia and hypersomnia. 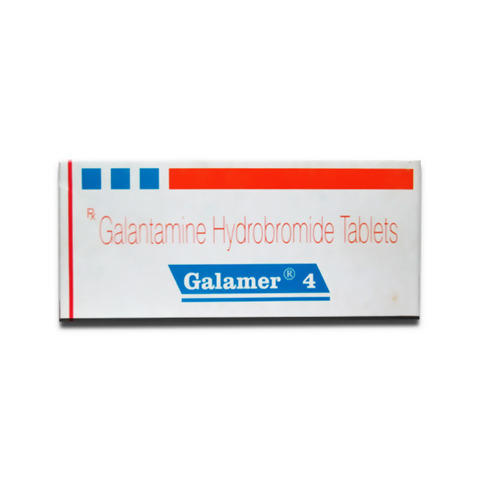 Galamer (4 mg) is a cholinesterase inhibitor, prescribed for mild to moderate dementia in patients with Alzheimer's disease. It improves thinking ability, memory or slows the loss of these abilities in people who have Alzheimer's disease.